Special thanks to Dr Peter Wiesli MD, diabetologist and as it happens Disney fan. He said in an email, “As a diabetologist, I always wondered what happens with glucose control during the rides.” Me, I wonder if I am going to toss lunch. Yes the report sound a little officially academic but hey read between the lines, it says, “We wrote a paper as an excuse to take a bunch of T1s out and ride roller coasters!” Damn I should have stuck with the periodic tables after all. I say he should be allowed to deduct his park tickets as a business expense, but then if it was up to me we all could. He was kind enough to translate that into diabetic parent speak for me as follows; “The effect of the rides on glucose concentrations is surprisingly low; although heart rate and stress hormones were markedly increased by the rides. So there you have it: Official science! Diabetes need not be a reason to keep your T1 kids off rides. Have fun. Test more. In that order. Keep in mind you should start the ride in control, follow your pump manufacturer’s instructions about your pump and rides. While it has nothing to do with diabetes it has everything to do with parenting, never force a child onto a ride that terrifies them. 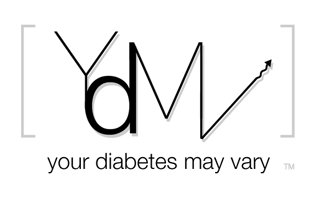 YDMV (Your Diabetes May Vary). Now how do I get into the study control group so I can write off a day in the parks? Bennet, I have to ask. Do you leave pumps on, or take them off for the fast rides? If you leave them on, do you ever have the need to reprime? Julia has had to do that a few times after jumping on the tramp, but I don't know that roller coasters would do the same. Any insight into this from the badshoe's would be great!!! I believe you all have made a science of diabetes and Disney. We never take them off. Some manufacturers says to for some rides. We typically don't think about it we having too much fun. As my professional consultant the research scientist says, we do a few extra BG checks. I think Delaney disconnects for the tramp. I am going to Cedar Point this summer and I have an Animas 2020.Will I be able to wear my pump on the roller coaster rides?Animas says that you shouldn't. Swimming in the Data Stream Looking for the UN. Musings on NPH and the meaning of life. The year of million (and one) dreams. Bunnies, Chinchillas and Hamsters Oh My!